Facebook recently deleted the pages of Balizar Orion Avatar and his wife Audry Avatar because their last name is a word Facebook has flagged as being a likely suspicious or fake account. See this article for more on this modern onomastic controversy. 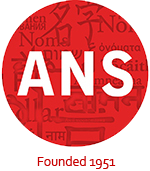 ← ANS conference acceptance notification by September 30th.